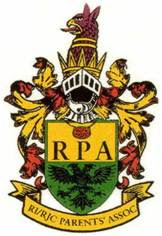 Notice is hereby given that the 27th Annual General Meeting of the Raffles Parents’ Association (“RPA”) will be held on Saturday, 28th March 2015 (Saturday) at 8.30 a.m. in Raffles Institution, Lecture Theatre 2 (Year 1-4 Campus). Any other business provided prior notice has been given to the Honorary Secretary at least 7 days before the date of the Annual General Meeting at lay_hoon@yahoo.com.sg, according to paragraph 12 of the RPA Constitution. RPA members wishing to be nominated or to make nomination for the positions of Office Bearers in the 27th RPA Management Committee (2015/2016), are required to print and complete the nomination form. Forms must be completed with proposer and seconder, duly signed, and reach the Communications, Alumni Relations & Advancement Office (RI Admin Centre – Level 2) not later than 5.00pm on 25 March 2015 (Wed) by E-mail (comms@ri.edu.sg) or Fax (64199238). Incomplete forms and nomination forms received after the deadline will not be taken into consideration.